I asked the Spiceworks Community which should be my next computer? and a lot of people replied with suggestions. 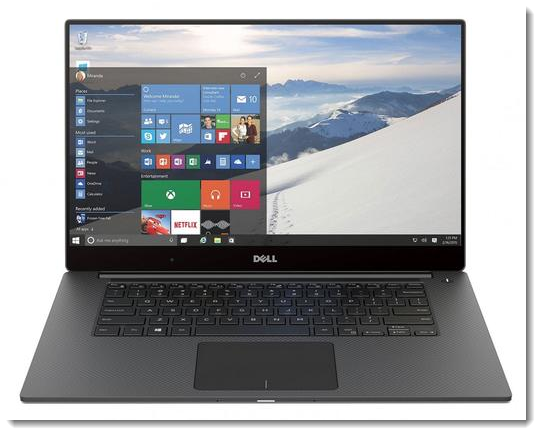 I finally decided to go for the Dell XPS 15″ 9550 a very powerful machine with latest Skylake i7 processor, 16 GB of RAM and 512 SSD plus a dedicated graphics card and under 2Kg. After reading so many great reviews about the 13″ XPS and some others from the 9550 I was convinced. Due to Dell terrible customer service in Switzerland and because I wanted an extended international warranty and English keyboard I ended up buying it in Germany where a very nice and patient lady was able to clarify all my doubts and questions. I placed the order and I was really anxious. Connecting headphones would make an ugly static noise. Strange mouse freezes having to completely shutdown the computer. It was time to call Dell for Support because I was reading online a lot of people having similar issues, which I did and the next day a technician came to my house, he changed motherboard and screen but the main problems where still happening. I was not going to keep a “new” USD 2K laptop with these problems, so I asked Dell to take the computer back and reimburse me the money (I confess it wasn’t so easy to get it done). The whole process was a nightmare, they missed 2 pickup dates and finally after 4 weeks they finally picked the machine from my house and took them 4 more weeks to give me my money back to my credit card. In short, I will never buy a Dell product again (at least not while the company works like this). I wasted so much time troubleshooting and discussing with their support people that I felt really frustrated. I do not expect this kind of service with a device of this price. 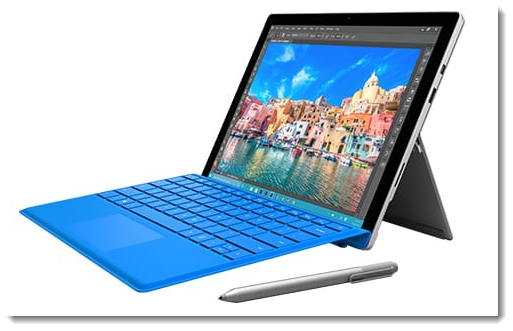 Back to square one, lets get a Surface Pro 4! So, I was again back to where I started, I needed a replacement of my MacBook Pro, so I decided to give a try to the Surface Pro 4 which was the next candidate on the list. I sold my iPad and MacBook Pro on purpose to force me use the Surface Pro 4 fully as my unique tablet and laptop all in one device. Marc, a colleague of mine recently wrote a post about his experience with the SP4 so I felt really confident that it could also work for me, well, I was wrong. I had some issues with the device, but I am not sure if it was because I received a faulty one or it was its normal behavior. I heard people complaining about Chrome triggering the high pitch noise of the cooler running very fast to cope with the heat dissipation, but I it was too annoying for me to live with it, I felt the thing was levitating on my desk. Also, the tablet mode was not right, the resolution was not properly adjusting between tablet and PC mode (when you took the keyboard out) so even native Microsoft applications like Microsoft Word or Outlook where looking very awkward, not as sharp as you would expect. I purchased also the Microsoft docking station which overall was OK, but I had constant resolution problems with my Dell 27″ screen, I am not sure if it was the screen or the dock or the computer or all of them that didn’t play well together, but several times I had to shutdown the computer completely to try to get the proper resolution of the desktop screen to work, more time wasted. I decided to call Microsoft with no hope of them being able to help, I was surprised, they told me that I could give the device back to Microsoft (where I purchased it directly) within the 30 days of purchase (no questions asked) and I would get a full money refund. They even offered me to give back the Type Cover keyboard I purchased on the UK online store. They sent me the return labels from UPS which I printed and called them to organize the pick up. In comparison with Dell, the Microsoft experience was so nice and supportive I even almost felt bad to give the SP4 back 🙂 My problem with the SP4 was in the end that I wanted to have my tablet (I missed the simplicity of my iPad) and my laptop separate and not both of them in one. Also the fan kicking so often was annoying to be honest, I tried. Now I have purchased an iPad Pro 9,7″ and I am waiting for Apple to announce the new MacBook Pro´s in some weeks, lets see what they release. On the meantime I am just using an old laptop I bought from work. I must say, that now I understand Apple a little bit better, when Steve Jobs and Tim Cook talk about how their hardware plays so well with their software, is not just a saying, its true. You can complain about missing specs or you might not understand why Apple decides certain things their way (I am one of those), but I think I will have no other choice than just live with it or find workarounds, unless of course I want to find myself playing again PC technician for several more hours with another brand.